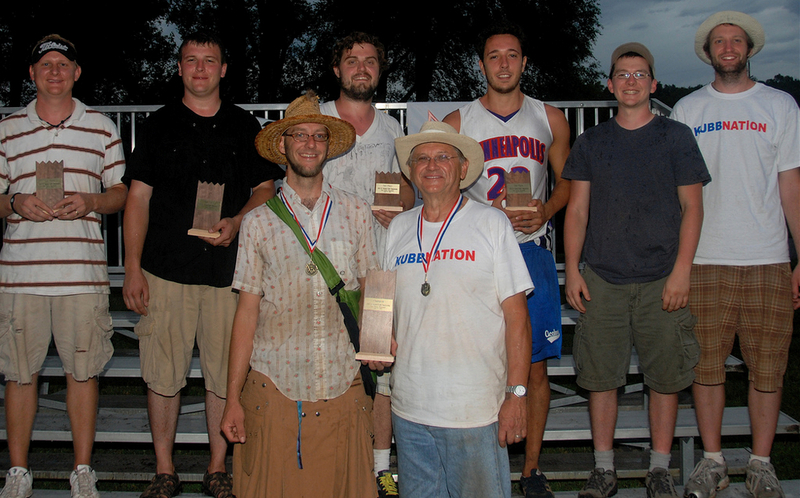 Our main focus is education, but we also play on the global Kubb tournament circuit to keep our skills honed. "Kubb unites people and creates peace on earth." We wholeheartedly believe in this statement, widely known as the official motto of the game. That said, it's a game. The point is to have fun, and win. And when we head in to a competitive atmosphere, we try to do just that. Our first goal is to win the fun. If we don't do that, it doesn't matter who ends up on the podium. We have had the great privilege of living in the Kubb Capital of North America where we can battle some of the world's best players 24/7. And we've been able to play together as a family under the name "el ringers" (the ringers) along with friends (and foes) for many years. The list below is our record as a family team, so for each listing we had at least one member of the team playing, most often two or three. All the images used in this website are the property of Kubb Farm and are not for public use without written permission from the owners. This is the online home of Kubb Farm - growing things and throwing things: garlic, poultry, berries and more.